Organic Virgin Coconut Oil (Cocos nucifera), Organic Ylang Ylang Essential Oil (Cananga odorata), Lavender Essential Oil (Lavendula angustifolia), Organic Sweet Orange Essential Oil (Citrus aurantium), Patchouli Essential Oil (Pogostemon patchouli), Geranium Essential Oil (Pelargonium gravelons). NEW! Inspired by tropical island beaches – we’ve combined our own beautiful organic coconut oil with the wonderful fragrance of island flower and fruit oils. Beautfiully scented with Madagascan ylang ylang oil, this fragrant body butter melts directly into the skin and is a body butter that you just won’t want to stop using it. It smells so good! Massage a little into your hair and scalp too – for a fragrant hair treatment. 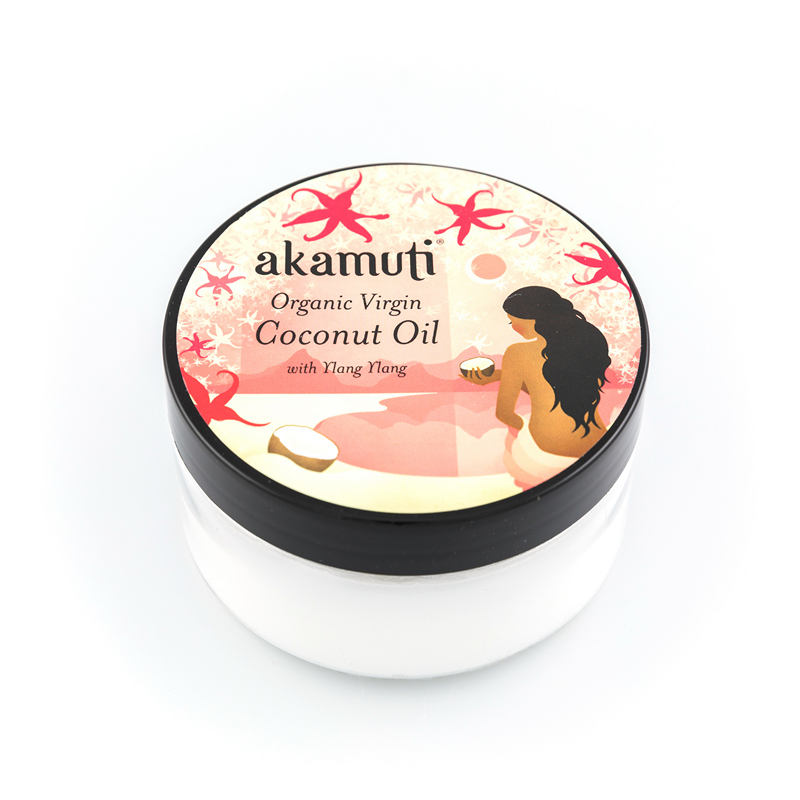 Warning: This product may make you feel like an island god/goddess! All over body moisturiser: For soft, smooth, fragrant skin, apply generously after a warm shower and watch your skin drink it in. Hair moisturiser: For soft fragrant hair, moisten the tips of your fingers with coconut oil and rub together. Now run your fingers through dry ends of your hair or scalp. Hair treatment oil: For beautifully strong healthy hair, warm a level tablespoon of oil and massage into the scalp and hair. Wrap in a towel and leave in your hair for 30 minutes to a few hours, depending on how long you have. Shampoo out.